Alim Qasimov was born in 1957 and is one of the foremost mugam singers in Azerbaijan as well as being an musician (on the daf - the single-headed frame drum of the Middle East and Central Asia) . Mugham has a thousand years of musical tradition and is a highly complex art form that weds classical poetry and musical improvisation in specific local modes accompanying an orally transmitted collection of melodies and melodic fragments that performers can draw on when improvising. According to the New York Times, Alim Qasimov is simply one of the greatest singers alive, with a searing spontaneity that conjures passion and devotion, contemplation and incantation. "Alim Qasimov is a prominent mugham singer named a "Living National Treasure" of Azerbaijan. He has been passionate about mugham since his early childhood, but initially Qasimov sang mugham solely for his own enjoyment. Only at the age of nineteen, after having held various jobs as an agricultural worker and driver, did he decide to pursue a career in music. Qasimov studied at the Asaf Zeynalli Music College (1978-1982) and the Azerbaijan University of Arts (1982-1989). His teacher was well-known mugham singer Aghakhan Abdullayev. Qasimov has performed on Azerbaijan’s most prestigious stages, such as the Heydar Aliyev Palace and the Azerbaijan Philharmonic Hall. Since 1989, he has been a soloist at the Azerbaijan Opera and Ballet Theater. Qasimov teaches mugham classes at the Asaf Zeynalli Music College and the Azerbaijan National Conservatory. 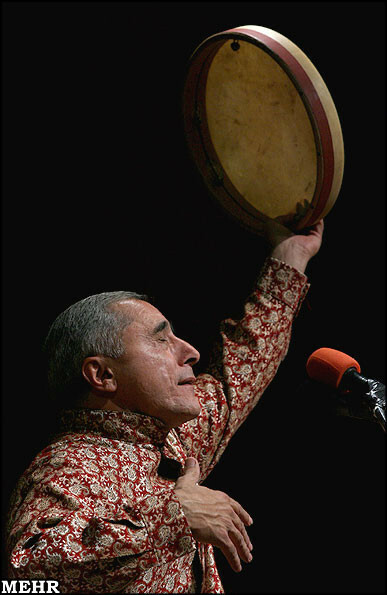 Qasimov perceives and presents mugham not only as an ancient art and a part of Azerbaijan's musical and cultural heritage but also as a constantly developing tradition. His performing style is unique, as it combines deep knowledge of centuries-old rules of mugham with challenging innovations. It is distinguished by extreme intensity, which takes audiences to a spiritual world. Qasimov's approach to mugham is far from conservative, and he willingly juxtaposes mugham with other music styles, such as jazz and contemporary composition. In 1999, in recognition for his musical contributions to world peace, Qasimov was awarded the coveted International IMC-UNESCO Music Prize. Past winners of this prize include Yehudi Menuhin, Ravi Shankar, Olivier Messiaen and Daniel Barenboim. Qasimov's numerous awards also include the title of the People's Artist of Azerbaijan, the highest artistic rank in the country. In 2007, on the occasion of Qasimov’s 50th birthday, the President of Azerbaijan awarded him the Medal of Glory." He was also included in a book on the 500 Most Influential Muslims of The World (2009). "The heart-aching soul music of Eurasia"
"Alim Qasimov certainly has his fans. The late Jeff Buckley described his singing as "pure and effortless" while The Guardian's Robin Denselow claimed him to be "one of the most thrilling, unashamedly emotional performers on the planet". The Kronos Quartet's David Harrington put a figure on it, announcing that, vocally, Alim is in "the top five of all-time". His is certainly an astonishing voice, pricking the skin and riding undulating air currents as he dramatically interprets the ancient poetic works of his homelands. One of the most cherished citizens of Azerbaijan, he sings both the homegrown classical music known as mugham and the ballads of the ashiqs, the local lute-playing troubadours. But whatever the song's origin, when that voice begins to ascend, you just know that Alim Qasimov means every single word of it. A genuine soulman. Authentic musical traditions of Central Asia are presented as they are performed today. This volume features the deeply spiritual musicianship of Alim Qasimov with his daughter Fargana and their ensemble. Each volume contains over an hour of music, extensive notes and color photos and a 40-page color booklet, along with a DVD featuring a 24-minute documentary, more. Personnel: Fargana Qasimova (daf); Alim Qasimov (daf); Rauf Islamov (kamancha); Ali Asgar Mammadov (tar); Natiq Shirinov (percussion); Rafael Asgarov (unknown instrument). Additional personnel: Yasef Eyvazov (oud); Haji Reza Serraf (unknown instrument). 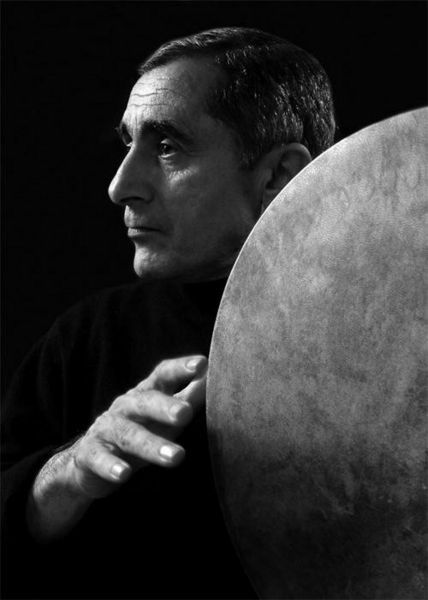 Personnel includes: Alim Qasimov, Ferghana Qasimova (vocals, percussion). "A few years ago, few outside the small West Asian country of Azerbaijan had heard of Alim Qasimov. Now, he is one of the brightest stars of Asian music. In 1999, he earned the IMC-UNESCO international music prize, awarded to the artist who best champions the idiom in which he or she performs. This newfound critical acclaim was accompanied by a proportional amount of hype. This meant there was incredible pressure for him to live up to heightened expectations on the follow-up, Love's Deep Ocean, released on Network Records in 2000. Qasimov, ever the professional, responded with an apt demonstration of his august vocal talent. Love's Deep Ocean is highlighted by Qasimov's mastery of mugham, the traditional music of his homeland, and complemented by a surprising variety of other disciplines, showcasing the breadth of his other influences. First off, the album contains two gorgeous tributes to qawwali legend Nusrat Fateh Ali Khan, tracks that have reappeared from an earlier compilation. Not wanting to be limited to solely mugham, Qasimov also delves into ghazal poetry, a kind of verse derived from a Persian segment of Azerbaijan, which Qasimov has melded with folk songs. This album also has distinguished itself with its expanded instrumentation. In addition to his normal percussion and spike fiddle, Qasimov uses the balaban, a twin-reeded duduk (something like an oboe); a klarnet (a West Asian clarinet); and the nagara, a metal bowl drum. The Wire (4/00, p.56) - "A remarkable vocal talent, [he] is the Nusrat Fateh Ali Khan of Azerbaijan....With great flair the group tackles folk songs, ghazal poems, instrumental improvisations and lengthy ballads....technically impressive..."